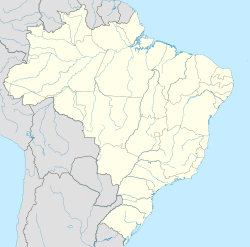 Quintino Bocaiuva is a neighborhood of Rio de Janeiro, Brazil. The locality is famous for being the former home of football (soccer) player Zico, who was nicknamed "Little Rooster from Quintino". ^ "A torcida diz adeus ao craque maior" (in Portuguese). Veja Magazine on-line. 1983-06-15. Retrieved 2009-01-06. This Rio de Janeiro state, Brazil location article is a stub. You can help Wikipedia by expanding it. This page was last edited on 30 March 2017, at 02:51 (UTC).